Chalet Camille is a superb free-standing chalet is a fantastic location in Tignes Le Lavachet, only 30m from the piste and the Paquis and Chaudanne ski lifts. There is also a hot tub and sauna to ease muscles after a day on the mountain. Next door to the Chalet Isabelle they are in an ideal situation for quick and easy access to the large ski area. Chalet Chardonnet has a perfect location just on the lakeside, with handy access to the ski lifts. The Tovière gondola is just a short walk away or if you wish to start skiing in Val Claret then the regular ski shuttle bus service stops just outside the chalet. Chalet Isabelle is a superb free-standing chalet in a fantastic location in Tignes Le Lavachet, only 30m from the piste and the Paquis and Chaudanne ski lifts. This chalet has a hot tub to ease muscles after a hard day on the mountain. The chalet is in an ideal situation for quick and easy access to the large ski area and is next door to the Chalet Camille. The hotel sits right in the heart of the village of Tignes Les Brévières giving access to the fantastic Espace Killy ski area. This friendly and well managed traditional hotel is beautifully decorated in wood and stone, giving it a warm chalet style atmosphere. Located in the Rosset area of Tignes and finished to a very high standard with a ‘New Mexico’ theme, this property boasts large picture windows providing wonderful views of Tignes and the mountains. The location of this hotel in Tignes Val Claret is fantastic for keen skiers looking for quick and easy access to the renowned Espace Killy ski area. These luxury apartments offer the last word in comfort and facilities! Ski straight to the door and unwind after a day on the mountain in the sumptuous spa and swimming pool complex, complete with jacuzzi, sauna and Turkish bath. Enjoying an elevated, sunny piste-side location and close to the centre of Tignes Le Lac, this unique resort complex offers a choice of hotel rooms in a quiet, piste-side location. The hotel has an excellent range of facilities including the fabulous outdoor pool and the food in the different restaurants is superb. Newly renovated. Enjoying an elevated, sunny piste-side location close to the centre of Tignes Le Lac, this unique resort complex offers a choice of suites in a quiet, piste-side location. 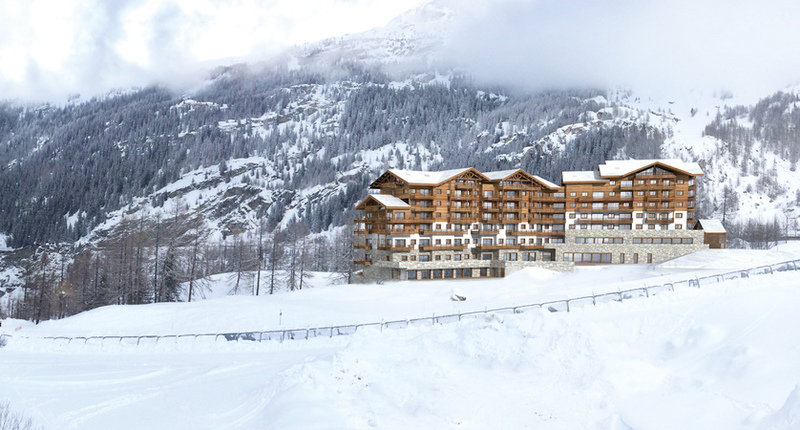 The new L'Altaviva Residence is ideally located on the slopes and opened in December 2018. Protected by woodland and rocks, it overlooks the slopes with a large south-facing terrace with restaurant and indoor heated pool. The elegant apartments all have views across the ski area and the valley and are tastefully decorated. Tignes is a magical place when it snows but if you find you want to spend some time away from the slopes there are also plenty of other activities to keep you occupied. Here are just a few of our favourites, all of which are recommended by our local representatives. Glide across the beautiful lake for free with your weekly lift pass. If you are feeling competitive then why not challenge your friends and family (or even your Inghams representative) to an afternoon ice hockey game. Treat yourself to an afternoon relaxing in the wonderful wellness area in Le Lac. With your lift pass it only costs about €12 for 90mins chilling and relaxing those achy ski legs away. There is also a fantastic recreational pool area here, and if relaxing isn’t your thing then the incredible fitness facilities will help you train for your next ski expedition. If you want to explore Tignes with four legged fluffy friends then take a dog sledging ride around the lake. Whizz around in two-person carriage enjoying the scenery. Don’t forget to arrive early so you can have cuddles with the dogs! This is an incredibly popular excursion so make sure to book this with your resort representative as soon as you arrive as places can be limited. Why not head to Jacks Bar where you can challenge your friends and family to a game of bowling. There are no barriers here so make sure you have your head in the game. Jacks is a popular après location and becomes incredibly lively later in the evening. Tignespace will keep you occupied with its state-of-the-art infrastructures in an exceptional setting. This indoor sports and conference centre opened in 2013. Its massive climbing walls and indoor football pitches make it perfect for white-out days when the snow is just too heavy to ski.